For everyone who’s in Manila, now’s the perfect time to go shopping, especially for your children’s needs. 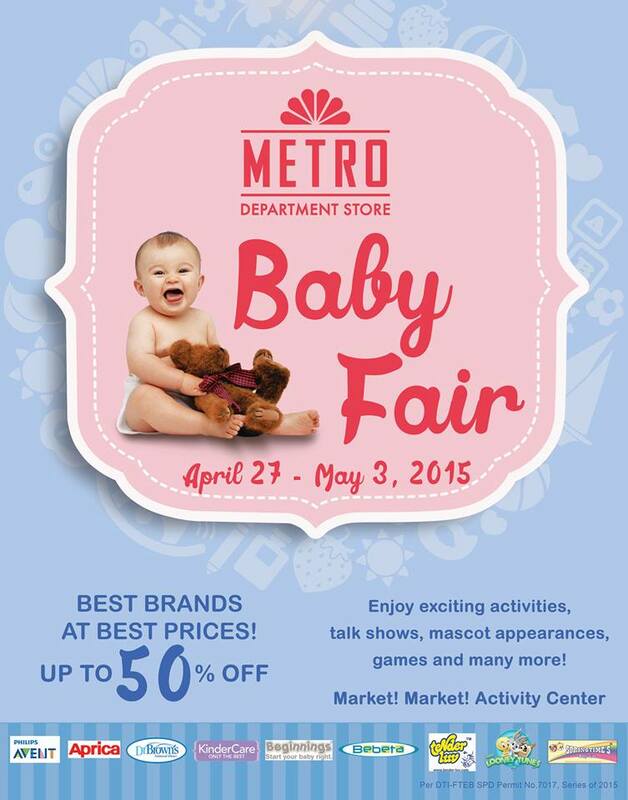 As what I posted on my Facebook page, Metro Department Store is having their Baby Fair and you’ve got two more days- until this Sunday, to head on over Market! Market! in Taguig City to shop. 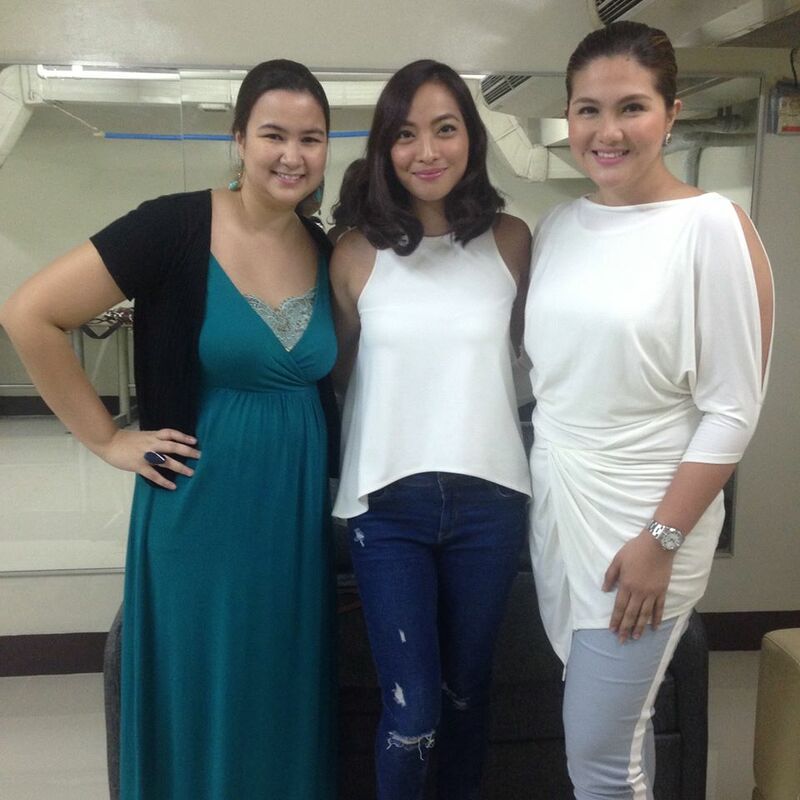 I was also one of the guests this afternoon where I shared some insights about motherhood. I had a lovely time sharing my experience and some tips about motherhood with celebrity mom- Dimples Romana on stage a while ago. Thank you Ziera for having us! For those of you who weren’t able to hear our quick chit-chat onstage, I’ll summarize what we’ve shared here on the blog & it’s all about having the three Ms of motherhood. Whether you’re a working mom or a full time hands on mom, managing your household, family and career is no easy task. The trick is to figure out what works best for you. If you’re a stay-at-home mom, managing your time and schedule is your best bet. Create a timetable, do things while the children take a nap or while they’re in school. This way, you get to spend quality time with your children should they seek for your attention. If you’re a working mom, after work hours is the time you get to manage your home and spend time with your children. If possible, refrain from bringing work at home and block at least a day in a week (weekends) to spend time with them. I know for most stay at home moms (like me), it’s difficult to spend quality time with our kids. The constant feeling of wanting to complete our chores makes it challenging to give in whenever our children ask us to have a moment with them. This is where time management and scheduling comes in. Make spending good quality time with your kids a part of your daily schedule. As what Dimples said, our children won’t remember how long we spend time with them, it’s the feeling of happiness they get & the moment they’re with you that they’ll remember. Kids always live in the present, in the moment and in the now. So it’s important to always have time for them. It may be as short as 5 minutes but you have to make that moment count. Remember that being with your child is different from spending time with them, the latter is always better. I don’t think I mentioned this before here but lil’ Ms. GJG have made a rule that I cannot go into their room if I have my laptop, phone or even camera with me (unless, I have a valid reason-like take their photos). This is her way of telling me that she needs me to focus my attention to her and to have fun with her and her brother. For her, it’s moment like this that matters. Motherhood is a tough job and all mommas are amazing because we can do all these things that we’re expected to do knowing that we won’t get anything in return. Unlike any other work that pays us, (financially that is) motherhood rewards us with emotional currency and free-pass to see our children grow. We do what we do out of love and love alone. So please, take some time off to do what you love apart from being a mother. You don’t even have to go out of your house or spend a dime. I wear my heels when I do the laundry, because Mr. GJG always say that I like buying shoes but I don’t really wear them often when we’re out- heels while toting a two-year old in the mall? Medyo challenging kaya! So to make use of my shoes and to make me happy, I wear them at home. Think of ways that make you happy. Eat your favorite food, watch a TV show that you really love or let yourself get lost with a good book. Whatever it is, do it at least a few minutes a day, if not possible, do it a day in a week. Let the husband take care of the kids so you can treat yourself once in while. Men, take note that this is NOT ONLY applicable on Mother’s Day. Let your wife take a break from child rearing and homemaking. Remember that a happy wife/mom/woman makes for a happy home/family/life. These are some of the points Dimples and I discussed during our talk this afternoon during the Metro Department Store Baby Fair. If you miss out on this, don’t worry they’ll be having other celebrity guests tomorrow like Rica Peralejo and Christine Reyes who would also be sharing their insights about motherhood. 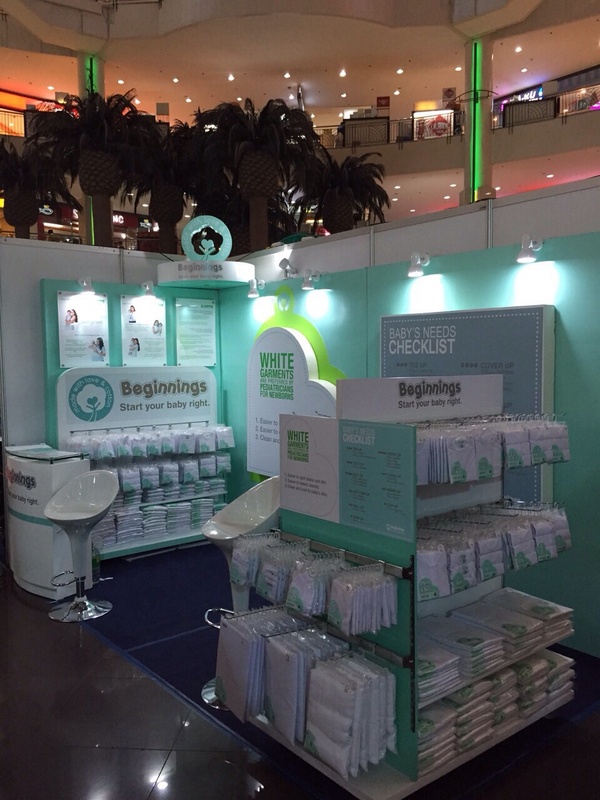 Also, for those of you who missed out on the Beginnings Baby during last January’s Baby Fair here’s your chance to shop for their all-white baby garments. It won’t be hard to find their booth as the lovely green and white color stands out.